Partnership: (n.) a contractual relationship between two or more persons working together for a common purpose. When a person trusts in Jesus, His Holy Spirit comes to live inside that person. God gives us His Spirit so that we can have an intimate relationship with Him and enjoy the marvelous gifts He has for us. gives believers in Christ a new holy nature (2 Thessalonians 2:13). empowers God’s people (Zechariah 4:6) and helps us to share our faith with others (Acts 1:8). 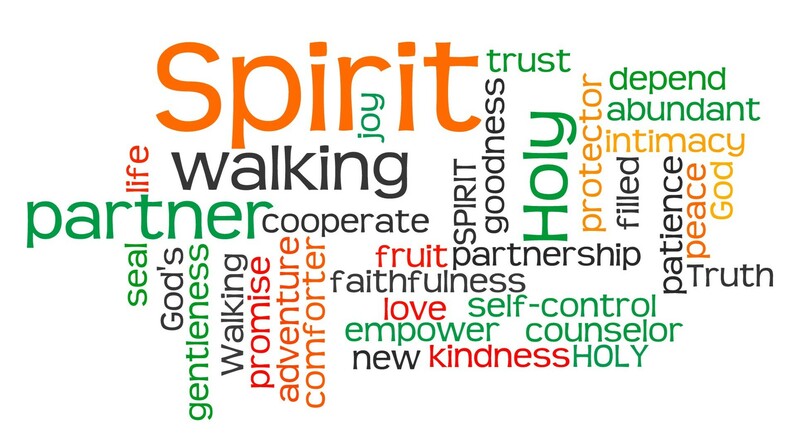 produces spiritual “fruit” in our lives, such as love, joy, peace, patience, kindness, goodness, faithfulness, gentleness and self-control (Galatians 5:22-23). Although the Holy Spirit never leaves us (John 14:16-17), sometimes we don’t experience the benefits of a relationship with Him. Why not? Do you always get along with your family and friends? You may have an argument, or just not bother to see them that often, so you drift apart. In the same way, our attitudes and actions affect our relationship with the Holy Spirit. If you are like me, after I experienced the initial joy of having a personal relationship with God, I fell back into old habits and relationships. I tried to please God through my own efforts. That doesn’t work. As the Apostle Paul wrote: “Are you so foolish? After beginning with the Spirit, are you now trying to attain your goal by human effort?” Galatians 3:3. As with any relationship, we have to work at it. Now, I don’t mean we somehow earn it. But we do need to allow the Holy Spirit to guide us and give us the power to live the way God wants us to live. Just as God didn’t force us to trust in Jesus for our salvation, He won’t force us to cooperate with His desire to transform our lives. The remodeling of our lives is a partnership with the Holy Spirit. This agreement is a voluntary, cooperative endeavor in which all parties dedicate their money, effects, labor, and skill to achieve their goal. Both sides bring something to the table. The Holy Spirit helps our infirmities, intercedes for us, gives us wisdom, guidance and power, and seals the deal with Himself. We must seek God’s will, turn control of our lives over to the Holy Spirit, and cooperate with His work in our lives. (Romans 8:1-14; 26-29). This partnership is an on-going relationship, not a one-time experience. I love the reality that I never get beyond these truths. This very genuine need in my life, for relationship with Jesus in the power of the Holy Spirit. Thanks, my friend, for a very necessary reminder of what is really necessary.